Agastache aurantiaca is a fragrant native Hyssop of the Southwest US and Mexico. Agastache Apricot Sunrise has a great scent and puts on a near continuous show of flowers. Agastache aurantiaca grows to about 3 feet tall and has a rather upright habit. The branches a little brittle. This hyssop needs regular irrigation and good drainage. 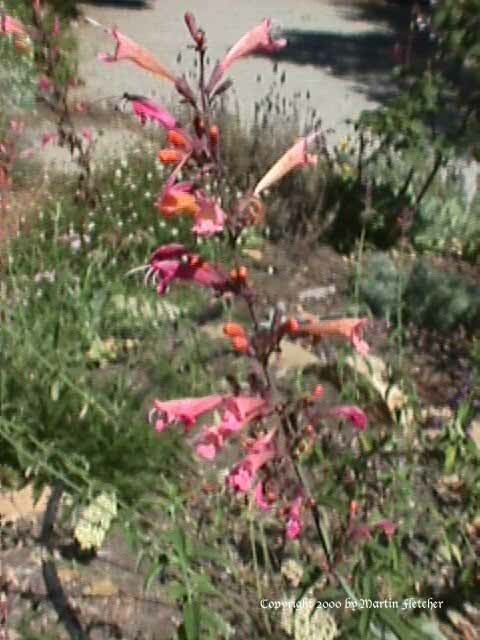 I have lost Agastache Apricot Sunrise a number of times in less than ideal conditions. Once the right spot is found, Agastache Apricot Sunrise will put on a near continuous show. The long slender flowers attract hummingbirds and the roots attract gophers. Care should be taken. Flowers of Agastache Apricot Sunrise the Orange Hyssop.